Keolis Downer has embarked on a journey to improve public transport in Newcastle. Under a new 10-year contract, we are responsible for designing and operating Newcastle Transport bus and ferry services and for the opening of the Newcastle Transport Hub in the heart of the city. Keolis Downer has been awarded a 10-year contract to operate Newcastle Transport, the new integrated transport service for Newcastle and Lake Macquarie. Under the contract, Keolis Downer is responsible for designing and running an integrated transport system in the Newcastle area across all modes of travel: buses, ferries and, from 2019, light rail. Since the commencement of the contract on 1 July 2017 we have been working closely with the community, government and other stakeholders, through the Voice of Newcastle program, to determine the best improvements to transport. In early 2018 the new bus and ferry network was launched introducing more than one thousand extra services each week. Newcastle now has a new way to travel with improved frequency, better connections between modes and an exciting new On Demand service. Keolis Downer takes the need to hear from the community very seriously to ensure we deliver a network that locals want. Our focus from day one is on customers and improving customer service by listening to feedback to understand customer needs. A vital part of the strategy for community engagement is the number of initiatives we are offering locals that are effective ways to get involved or stay up to date. These include the digital tool Social Pinpoint on the Newcastle Transport website, Facebook, and the Voice of Newcastle program. The new Newcastle Transport Hub opened on 1 July 2017 in the heart of the city. The Hub forms part of the overall engagement strategy to ensure that the new network under design is truly world-class and the best possible fit for the city’s needs. Located in Hunter Street Mall adjacent to Market Street Lawn, the Newcastle Transport Hub centralises customer service as a space where the public can find information and talk to the team face to face. 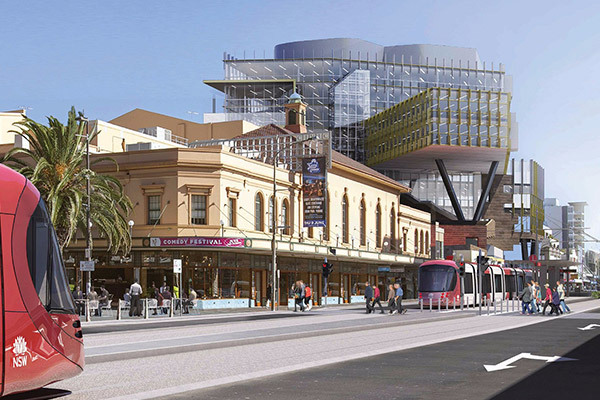 The creation of Newcastle Transport is part of the overarching NSW Government program Revitalising Newcastle. Revitalising Newcastle aims to bring people back to the city centre by strengthening connections between the city and the waterfront, creating job opportunities, providing more public places and spaces, and delivering better transport. Newcastle Transport will deliver transport solutions that will make our city a better place to live, work and do business, and a more accessible place that is easy for everyone to get around.